In the UK, most popular beers have an alcohol strength of between 4% and 6% abv (alcohol by volume), but these would be considered mere shandy to fans of the new super-strong variants. In these very Isles, Scottish upstarts Brewdog have been pumping out beer from their Fraserburgh brewery with alcohol levels in excess of 30%. Brewdog’s Tactical Nuclear Penguin Imperial Stout has a volume of 32%, Sink the Bismarck IPA comes in at 41%, and The End of History blond Belgian ale had an astonishing alcohol level of 55%. Only 12 bottles were made of The End of History, and each bottle was encased inside a stuffed stoat or squirrel (seriously!). But despite costing 500 a pop, the nettle and juniper berry-infused ale sold out soon after going on sale in July 2010. However, The End of History is not the strongest beer ever produced. That honour was nabbed by the Dutch Brouwerij Het Koelschip (Cool Ship Brewery), which, annoyingly for Brewdog, was introduced just a few days after the potent Scottish brew. Start the Future, created by Jan Nijboer, weighs in at an incredible 60% abv, and was made in response to Brewdog’s continuing efforts to push the boundaries of beer alcohol content. If you fancy sampling Start the Future, Nijboer wisely advises that you don’t drink it like beer, but like a cocktail. Previous super-strong beers include Koelschip brewery’s earlier Oblix (44%) and German brewery Schorschbru’s Schorschbock 43, which, as the name suggests, has 43% alcohol by volume. As for barley wine, Hair of the Dog’s oddly titled Dave shoehorned 29% abv into its little bottle, and a six-pack of the 1994 brew recently went under the hammer for $3,500. Before Brewdog was even a puppy, the UK’s previous strongest ale was the 23% Baz’s Super Brew, from Parish Brewery. 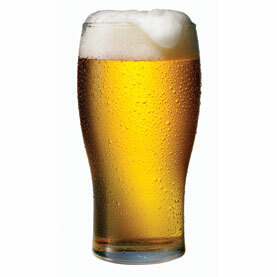 What the above drinks have in common though is that they were brewed using the fractional freezing process. This basically involves fortifying a strong ale by partially freezing it and repeatedly removing any ice. However, some claim that this process actually classes the beer as a spirit. If you share this view, then Boston’s Samuel Adams Utopia (27% abv) is in fact the strongest beer in the world as it is naturally brewed. Lagers can’t measure up to ales in terms of abv, but super-strength lagers include Austria’s 14% Samichlaus (Santa Claus), and the 16% Schorschbock 16, from the aforementioned Schorschbru brewery. Beer deserves the best treatment no matter how strong, light, dark or heavy it is. To ensure that the beer is always the best quality, pubs should be using a beer line cleaning system. With clean lines the beer is better, and that is a fact. Finally, don’t forget that beer is also about taste. To truly enjoy a nice pint, publicans and licensees need to maintain clean lines in their premises. a nice method of doing this is to set up an automated beer line cleaning system. CellarBright’s line cleaning systems can be found throughout Britain, and they help keep beer tasting wonderfully fresh, with the minimum of fuss and cost. Previous articleThe way to Reduce Your Wine Calories?